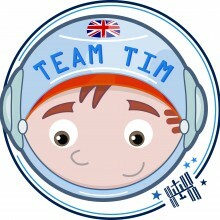 Team Tim, a hugely entertaining and interactive science show invites primary school audiences to help British ESA Astronaut Tim Peake train for his next space mission! Help Tim to keep fit, do quick calculations, conduct science experiments, grow space plants, launch small satellites, and perform a thrilling space walk to fix an ageing electrical circuit! Featuring a “live” satellite link with the real Tim Peake and full of fun, learning and visual effects, Team Tim is an unforgettable interactive experience for Primary school and family audiences that will delight and inspire. School Hall or large classroom, a table and access to a power socket. PLAY TEAM TIM ON SCRATCH!